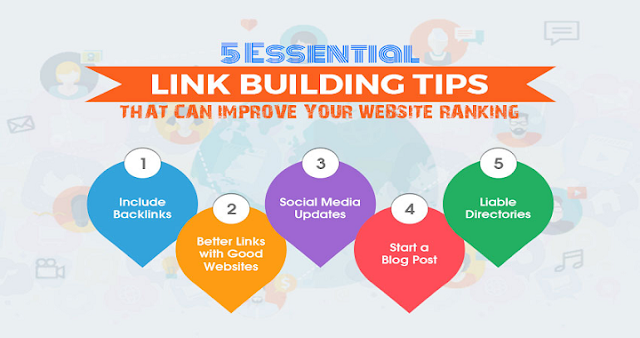 Best Link Building Tips & Why It Is Important For SEO? Your backlink profile... arguably the most important investment you'll make when building an online presence. Without backlinks, your website doesn't gain the search tracking it needs to compete. Building backlinks aren't difficult if you understand their core concepts. Apply a few link building tips to your dedicated content efforts and you're golden. In this article, you'll learn link building tactics that'll solidify your online efforts. Let's not waste any time... let's get right in. One of these roles involves creating backlinks to the website. 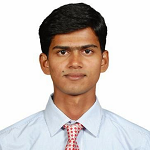 Else, filling the role of outsourcing the work to professionals. Either way, do know that backlinks are one of the most -- if not the most -- important aspects for SEO. And, let's not forget the biggest benefit of all: Better search placement. Links, if you ask any professional SEO, are a necessity for Google rankings. In fact, Google outlines the value of links. So, given it's the word of Google, you should know link building needs to be a regular exercise to compete. It's hard to say how valuable a link is since no SEO knows the real Google ranking factors. We can make an educated guess and track results to set best practices. In the end, your job is building links from relevant, reputable domains. A common mistake in link building is using the same link profile. An example would be using your full domain address over and over. There is no variety to the backlinks which appears fishy to Google. You see, people link in many different ways -- it's not always a full domain link. "click here" or "this site"
So where you'd link something like Blue Atlas Marketing, you could also try "learn SEO" in its place. The point is to change it up with every backlink. Now let's get into the juicy details of starting a link building campaign. You can use link building tools but most pull data from Google Ads. So, go to the source if you need to do keyword research going into the backlink efforts. The following steps provide a baseline as you begin building the link profile. Get to know your audience such as where they frequent and their consumer habits. Use your site analytics to find their entry sources and keyword use. Then, dig into social media and follow their discussions. The influencers provide an opportunity to build roundup content. Plus, you'll later tap these individuals for promotion. The sites are the potential locations you'll get content on for the link building. Research what your audience wants and begin creating content around those topics. Pour everything you can into the content creation. You'll publish the content on your site and through guest posting (step 4). Tip: Try creating a variety of content types from video to infographics. 2. Send an email pitching an idea or inquire if they have a "write for us"
Repeat this process for every prospect on your list. Sync your social efforts in tandem to the link building. Be everywhere by participating on social media platforms like Reddit, Facebook, and Twitter. Create a great experience for your site visitors and customers. Why? Because a great experience is worth sharing! The person may have a site and write about your site/business thus gaining you a backlink! That's it... all you truly need to build links. It's worth mentioning you can destroy your link building efforts through shady tactics. Don't do this. A couple of bad links can ruin your website efforts and if it's a business... things will go grim. Google advises you don't participate in link schemes. ...and really any link building that's not natural. Be wary of SEO claims and promises of "high search rankings"
Use Google's Webmaster Tools to monitor your link profile. If you see bad links coming in, begin disavowing them and begin building new, better ones. Applying these link building tips will hold you over for months (even years). SEO is an on-going effort that changes almost daily. Yet, there are a few things you can do while waiting for Google to recognize the efforts. Spend time building a better business and the links will come effortlessly. See our online business guides for all the details on how it's done.